On Friday May 24th we’ll be kicking off CMB19 in De Roma with a bike-in cinema both for kids and adults. 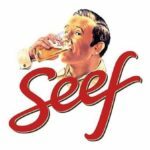 Join your local critical mass on Saturday May 25th and ride to Antwerp for the biggest free bicycle festival of the nation. 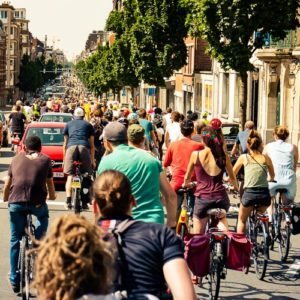 The critical mass bike ride of the year will start from Park Spoort Noord at 15:00 and will claim the streets of Antwerp. Join for the ride, stay for the festival. 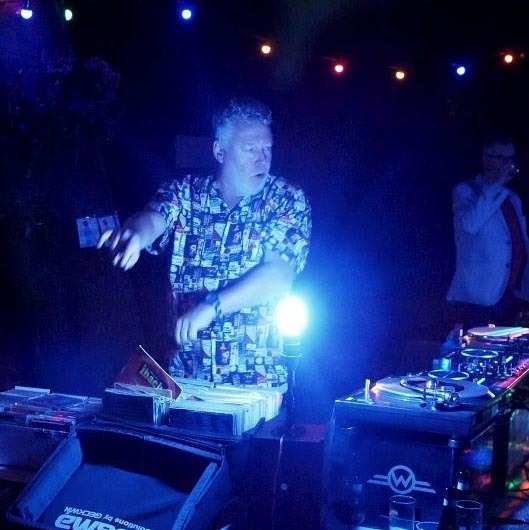 You’ll be treated to tunes by local heroes, awesome local beers and great food. A Critical Mass is about riding together with your fellow cyclists. 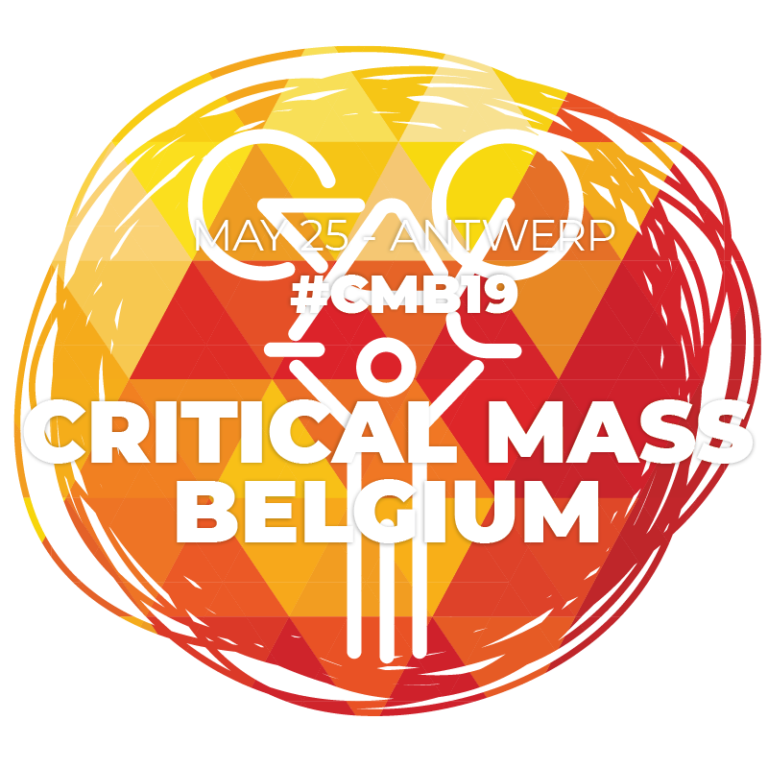 So join your local Critical Mass and ride together with cyclists from all over Belgium to #CMB19. 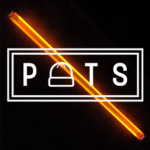 We’ll be gathering in Antwerp at 14:00 in Park Spoor Noord before heading out and taking over the streets on our bikes. Once you’ve arrived, take your time get something a drink, something to eat or get a free refill for your water bottle. Check out the map to find your local ride to #CMB19 by clicking on the routes. 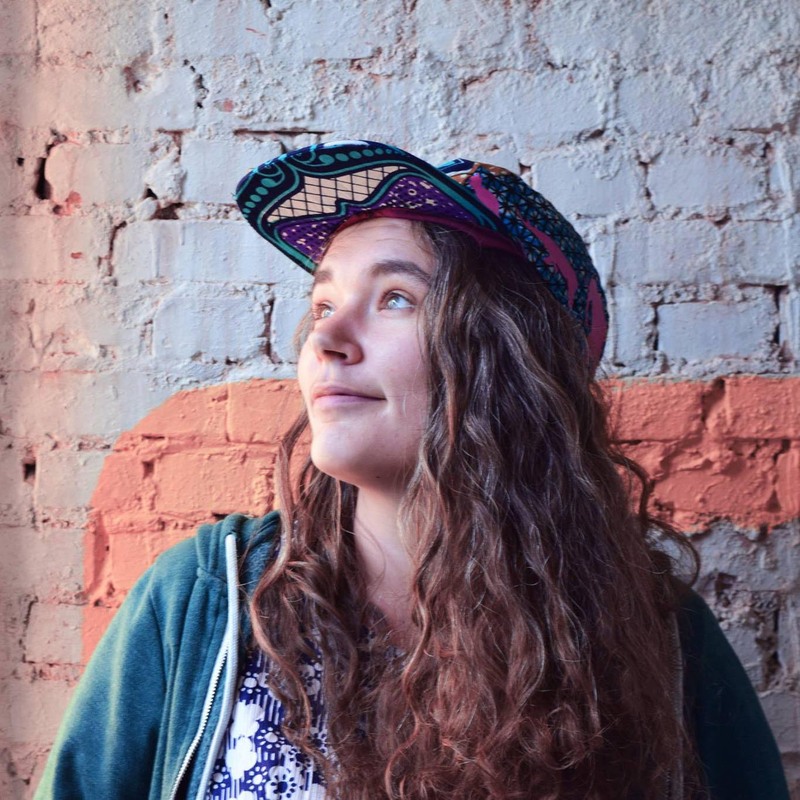 Want to organize your own ride to #CMB19? 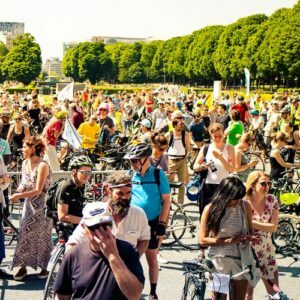 Join thousands of cyclists on May 25th for the largest Critical Mass of 2019. At 15:00 we’ll kick off and Antwerp will belong to the bicycle! We will ride approximately 15 km at a family friendly pace. Critical Mass and the city of Antwerp will be working together to make the ride fun, safe and smooth. Keep in mind that Antwerp is a city full of surprises, so it’s possible that on May 25th the route will be slightly different. 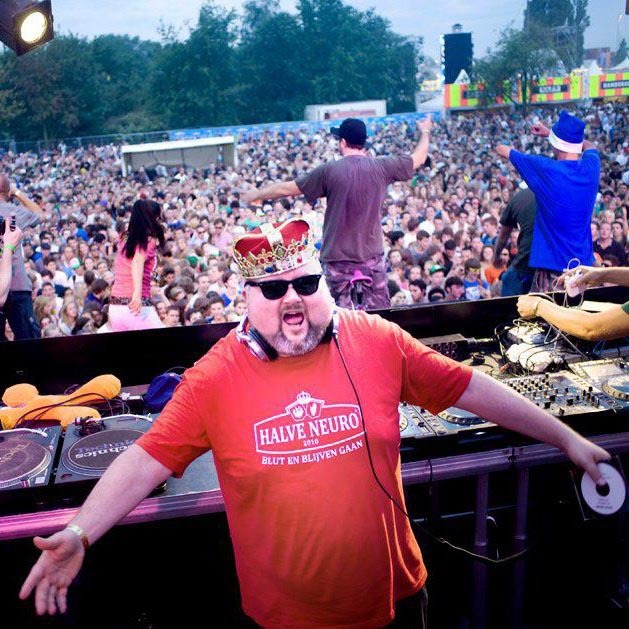 Join the biggest free bicycle festival of the nation and let’s dance into the night. 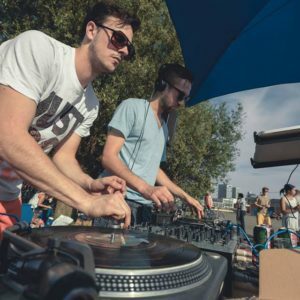 At Park Spoor Noord, from 15:00 till 22:00, you’ll be treated to tunes by local heroes, awesome local beers and great food. 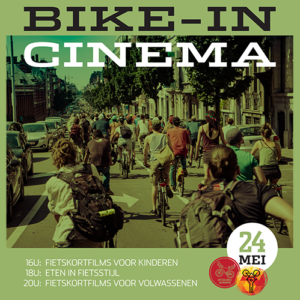 De Roma and Critical Mass Antwerpen organize a very first Bike-In Cinema! 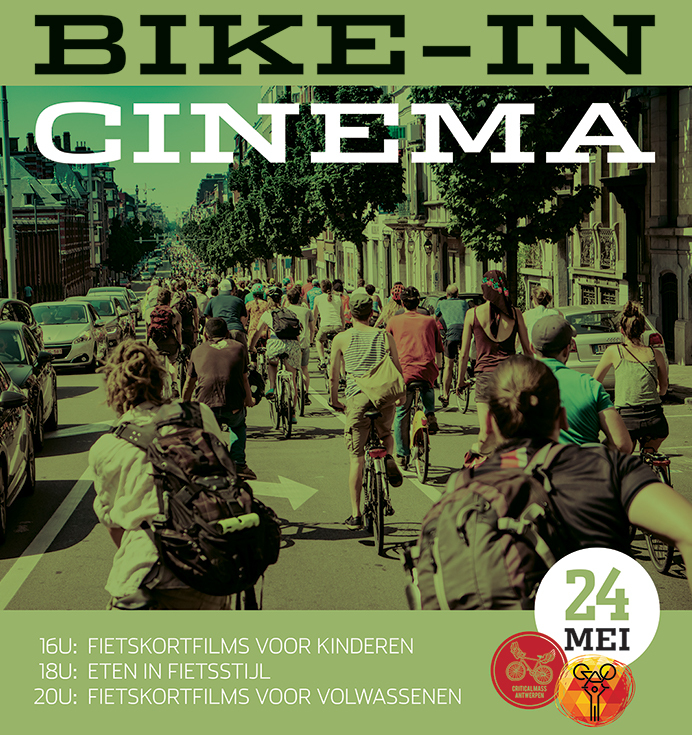 Be welcome at De Roma on Friday the 24th of May with your cargo-bike, bakfiets or any other type of bike that you can use to sit down, relax and watch a movie. There will be plenty of chairs too, so don’t worry if you’d prefer not to sit on your bike. The cinema will start at 16:00 with a movie selection for kids. Between 18:00 and 20:00 there will be a break with entertainment and food at democratic prices. From 20:00 there will be a selection of bicycle films for regular viewers. The event is free, but you do need to reserve your spot. Get your tickets at De Roma.